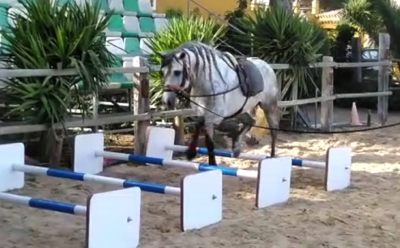 This seminar is all about the preparation, fitness and wellbeing of the riding horse and his rider. We will look into the general physique of a horse and what is needed to transform the body of a free running flight animal into that of a weight carrying performer. You will meet different ridden and unridden horses and together we will determine their condition and discuss their needs. I will introduce you to different classical training techniques and you will get to practice some of them ‘hands on’. 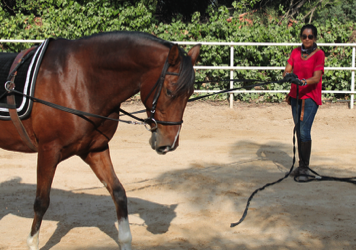 We will observe and analyse the movement of distinct horses and you will learn how to differ sound from unsound movements, real from false collection and how to spot if a horse engages his back in the training or just lifts up his legs in a more or less spectacular action. We will also look into the different sources of pain and damage that can be caused through inappropriate riding, training, tack or care taking. Each participant will get a brief movement analyses from me, focussed on the effects and influences in riding and some personalised exercises and advice to take home. 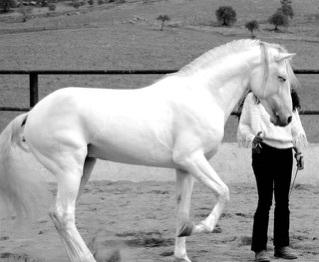 - Theoretical background of equine physique and the preparation and wellbeing needs of the riding horse. 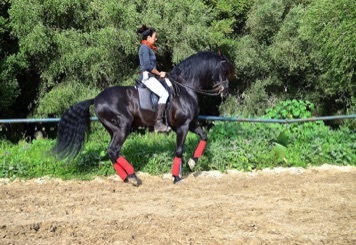 - Examination of different horses, survey, consideration of needs. Optional additional booking of 6th full day ride in the Breña and along the beaches of the costa del Luz - (lunch included).Please reserve your place when booking the seminar. We are happy to help you to find your perfect Accommodation and / or organise your Airport Transfer.